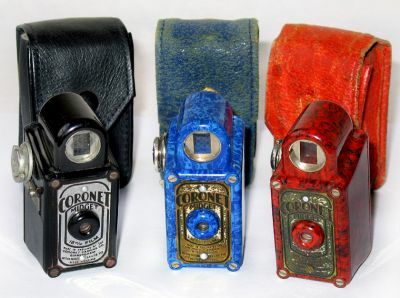 Colored Bakelite Novelty camera for 6 exp.on a special roll of film, cameras with there little individual case for it. Cameras sold in various colors. c.1935.